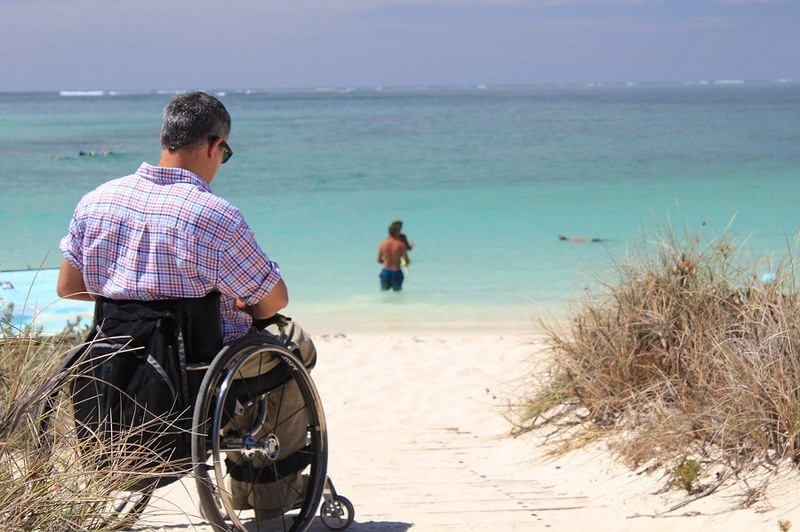 Using a wheelchair allows people experiencing difficulties in walking to maintain mobility. Seniors and disabled persons can improve the quality of life when they use wheelchairs. Although there have been technological advances in the design of these mobility equipment, people still have problems like discomforts when using them. However, making some small adjustments in wheelchairs can go a long way in making them more comfortable. There are small accessories and practices that can allow you to use a wheelchair appropriately and comfortably. The position you take when in your wheelchair may determine the level of comfort you experience. You can make some adjustments to the footrest position and backrest angle to ensure comfort. If the legs can’t feel comfortable when seated in the wheelchair, you can change the footrest height. In case the chair doesn’t have footrests that are adjustable, you can consider having this upgrade. Leaning back when using the wheelchair allows you to have stability and balance, so take the backrest position. When you are positioned the right way in the chair, it improves circulation, reduces fatigue, prevents backaches, and you enjoy your mobility experience. Although you may think that minor accessories like cup holders, trays, storage pouches, or lap pads aren’t very important compared to the main components of the wheelchair, however, they can make your experience in using the equipment enjoyable and comfortable. A removable cup holder for example allows you to have water, coffee or your favorite beverage near you as you go along your day’s activities in a wheelchair. Having a dining tray or some cushioned lap pad will make taking quick meals and writing or computing a breeze when in the chair. You will not only stay independent but also productive. You can even have storage pouches that give you a safe to place your magazines, glasses, wallet, and other essentials. If you’re uncomfortable when seated in your wheelchair, you can make some additions that will enhance your backrest and seat. Wheelchair cushions for instance help relieve pressure while offering additional stability. If your mobility chair has been built with a cushioned seat, you can get a gel or foam seat cushion. There are also standard foam cushions that you can use to enhance comfort while using the chair. An electric wheelchair that has a basic cushion may require an upgrade to a thicker, countered cushion. A lumbar support may be another thing to think about. It provides stability and cushioning for the lower back. If you spend much of your time in a wheelchair, you may want to consider having this support feature. Upgrading the wheelchair backrest offers you different back positioning options. You also get a soft feel when you have this upgrade. Custom-made seats are also a great consideration although they can be pricey, however, they can make a big difference when it comes to ensuring comfort. If you are having discomforts when using your wheelchair, you can try out these tactics, as they will not only improve your wheelchair’s support but also functionality. Depending on the current design of the chair, you need to check out the available additions that you can slot in to create the comfort you need.